Nine times out of ten I really enjoy quiet films. These films, when they are also beautifully shot, allow me to focus on subtleties and details and be free from the noise that distracts us from getting to the real business of gaining insights into the human experience. They usually include beautiful natural shots, and the cinemotography makes settings tremendously delicious. These movies allow me to focus on the characters—on people—what I love most about the movies. Yosemite is one of those films for me. 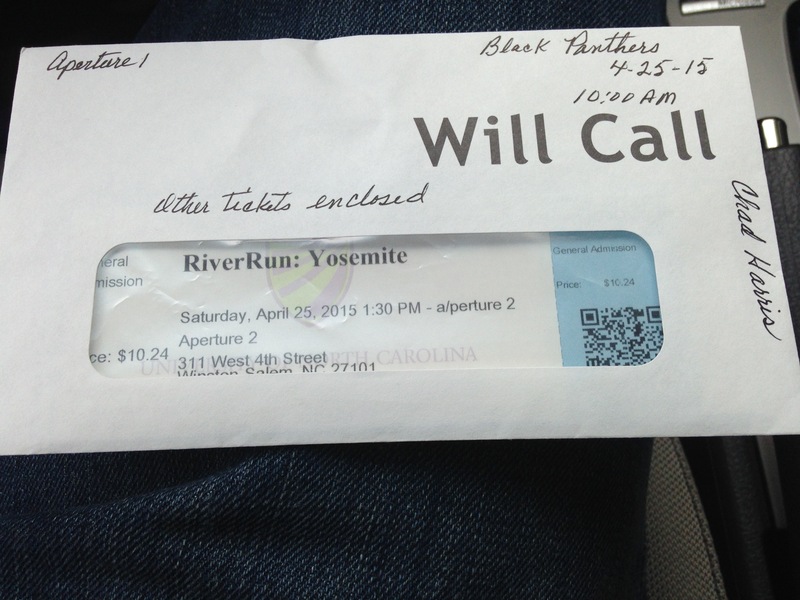 My second film in my April 25th RiverRun schedule, Yosemite, set and filmed in Palo Alto, California (and Yosemite for a portion), is based on stories by James Franco (who plays a dad who takes his two young sons to Yosemite). However, the director, Gabrielle Demeestere, as she herself let us know after the film (she was in attendance! ), added her own touches to the story that make it unified and complete. Set in 1985, Yosemite gives us the stories of three young boys navigating family life, personal struggles, and complicated friendships. Along with the beauty and quietness, there is true-to-life ambiguity that leaves the audience squirming, both justifiably and questionably, as the tendency to see situations in black and white may have left some people squirming a little too much while I began to understand that there was no longer a strong necessity. But just then I was talking about one particular plot element and everything it suggests and does not suggest. There are other moments that leave us wondering, and that is a wonderful thing; squirming keeps us alive. (Explore the tag above) This film is carried by outstanding child performances (Alec Mansky. Everett Meckler, Calum John, Troy Tinnirello), and you should see Yosemite to see them learn and make their way. They have plenty to say, and they say it well.